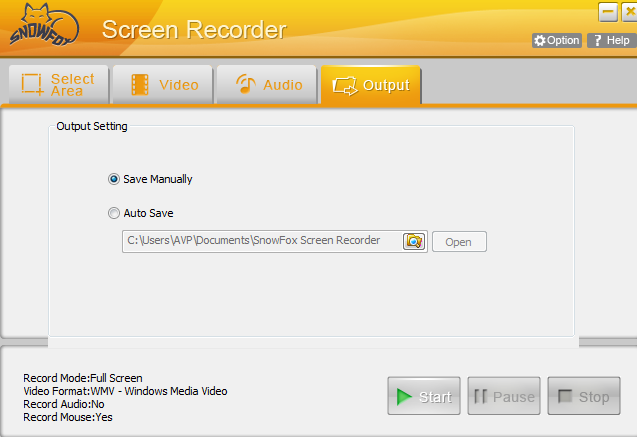 In collaboration with SnowFox, we are pleased to announce a FREE giveaway of SnowFox Screen Recorder worth $29 USD. Note : The giveaway starts from today 7th December 2011 and ends on 11th December 2011. 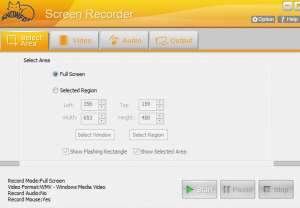 Record full screen or any selected region as required. 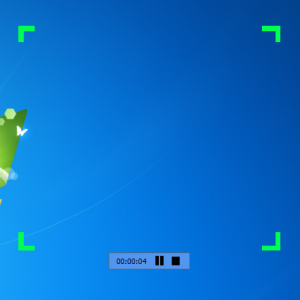 Capture onscreen movements like typing or mouse clicks which is useful for tutorials or presentations. Record sound which can be used as a voice over when creating video tutorials. 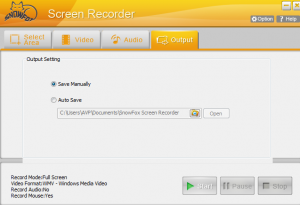 Save captured screen output in various video formats like .avi, .wmv, .mpeg, .flv, .swf etc. 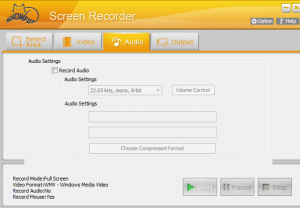 To avail of this giveaway, visit the SnowFox Screen Recorder giveaway page .To get the full license code, enter your valid email. 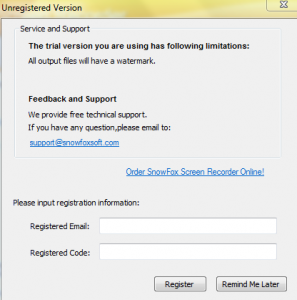 Upon entering your email and hitting Submit, a new page will launch giving the link to full version of SnowFox Screen Recorder along with the license code. Download the application and register it. 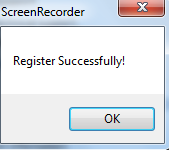 Once downloaded, upon launching SnowFox Screen Recorder, first register the software. Click on the help button and select Register. 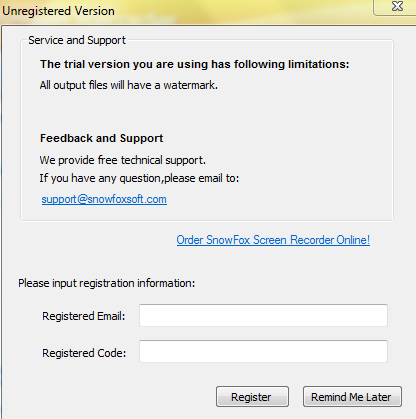 Then enter the email address and the license code provided. 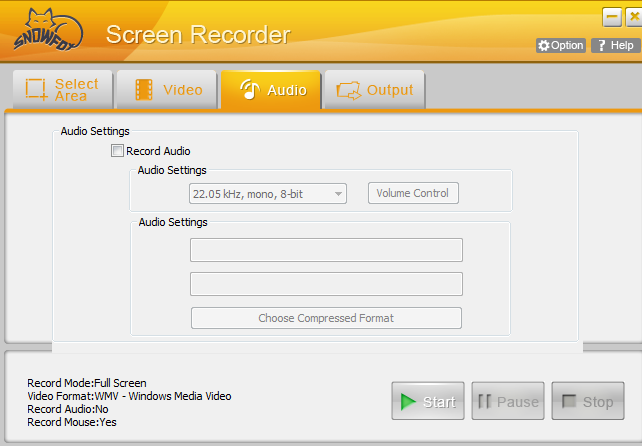 The main interface of SnowFox screen recorder consists of mainly four sections : Select Area, Video, Audio and Output. 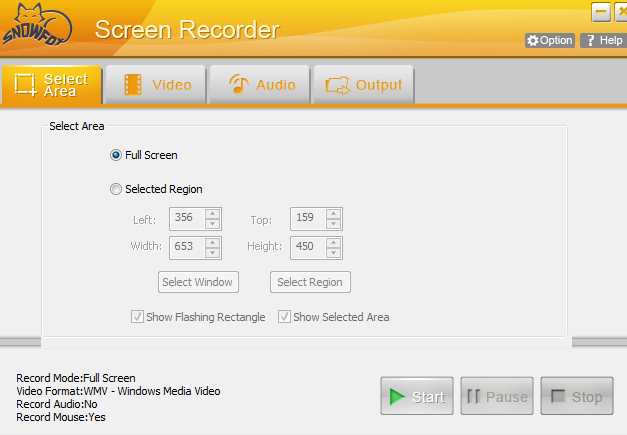 From the Select Area tab, either select full screen or a selected region and then choose the area to be recorded using mouse or manually entering dimensions. 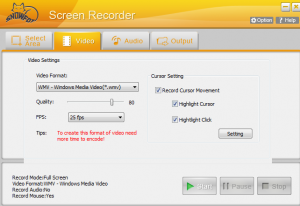 The video settings screen is for choosing the video format in which the output will be stored like a .wmv, .mpeg, .flv and so on. Also increasing the fps will improve video quality but will take more time to convert and will be of larger size. The audio settings screen is for choosing if microphone is to be enabled or not. 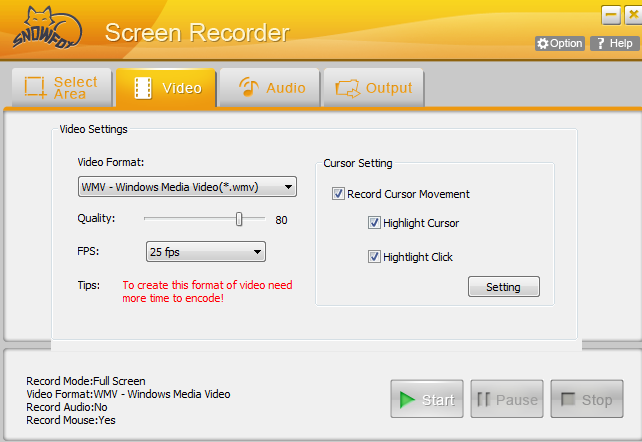 This comes in handy when doing voice overs or creating tutorials. The output section is for choosing the default path where the converted screen capture will be stored or it has the option of asking every time the path where the output will be stored. Finally to start capturing screen, hit the Start button. This will bring the selected area in focus with an indicator displaying how much time is elapsed since start of recording.